If you are a busy person who seems to be unable to just sit down and rest even for a few minutes each day, oh wait, am I talking about myself? Seriously, my 2017 started with loads of stuff to do, from parenting matters to job responsibilities to writer woes, name it, I'm going through it! Haha...The only highlight of my day is being able to put my feet up at the back of our house, listening to songs on Spotify and praying that my 6 months old doesn't wake up before I'm ready to be a mommy again. 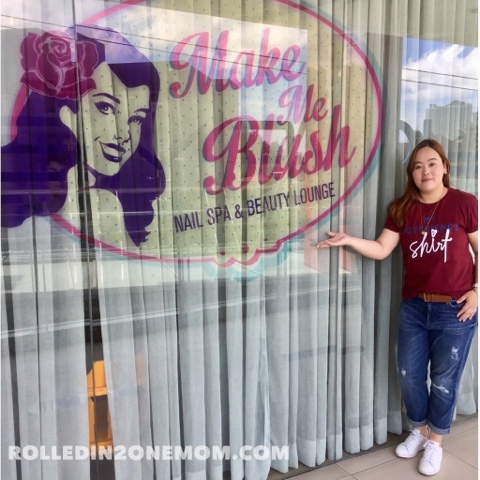 I first learned about Make Me Blush Nail Spa & Beauty Lounge through a friend who suggested that I give their services a try. 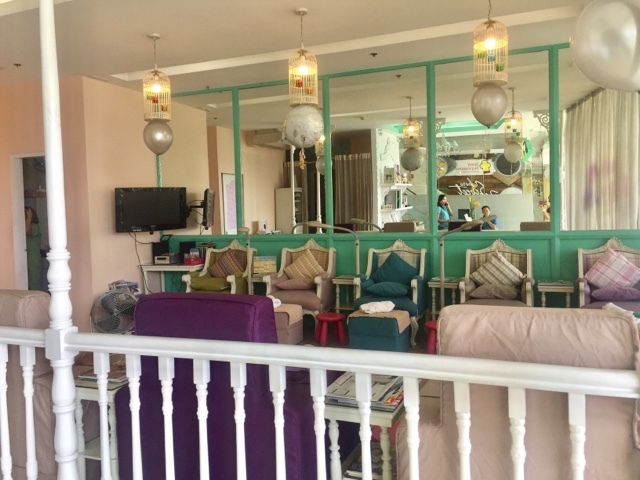 Located at Hemady Square in Quezon City, Make Me Blush is not your run-off-the-mill spa. It is different, from the interiors down to the services they offer. The minute I entered the lounge, it was all things girly and lovable rolled into one. 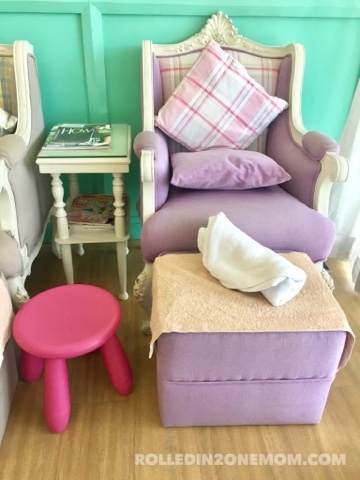 I loved the light shades of pink, green and purple mixed together. Everything was a total eye-candy, I felt relaxed immediately. Cozy. Yes, it was what immediately came to mind after a brief once-over of the place. The couch, the background music and the ambience are all conducive to a total luxurious experience I totally needed. I was greeted with a welcoming smile and "at your service" vibe. It took me an hour and a half travel to get there, tired yet excited, I knew I came to the right place. It was a quiet Monday, the lounge was empty except for me and the staff (and a customer who came in a little later after my session, Thank God! Haha). This didn't discourage me into thinking that maybe they didn't have much traffic, I knew it was a weekday which is why that day was chosen. I needed the solitude. Luxurious solitude, haha. 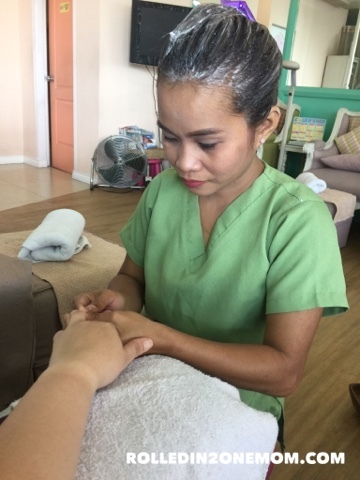 I was booked for a mani-pedi (manicure and pedicure) and foot spa. The exact things a tired mama needed. So, I sat down, expecting the typical services one should get. I was wrong. 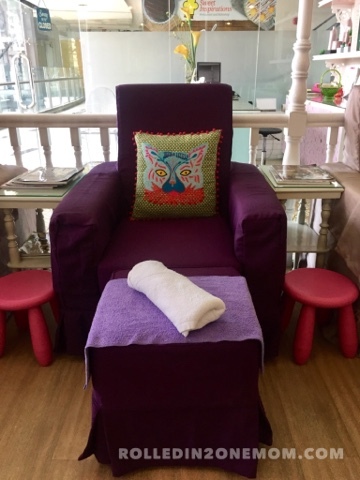 The moment I sat on the purple couch, I'm not sure if it was the ambience or the soft cushion but sleepy can't even begin to describe what I felt. 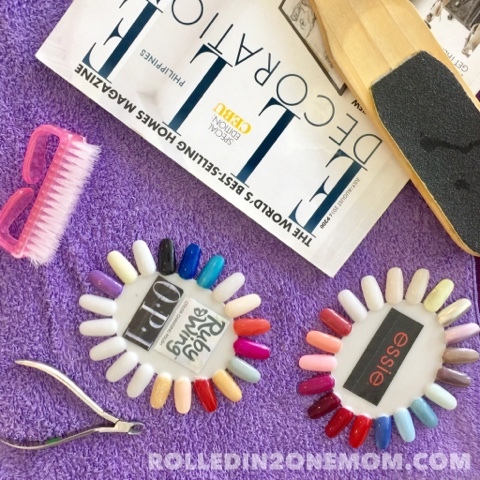 The mani began with a massage that immediately took away my stress while the pedi started off with a foot soak in warm water. I sat back and let the girls take over. Next, was a foot scrub and massage that made me doze off! Literally! I dozed off for a few minutes. I loved the way they let me sit in silence without intruding into my thoughts. I took everything in and watched as all of my tiredness and stress fall away. 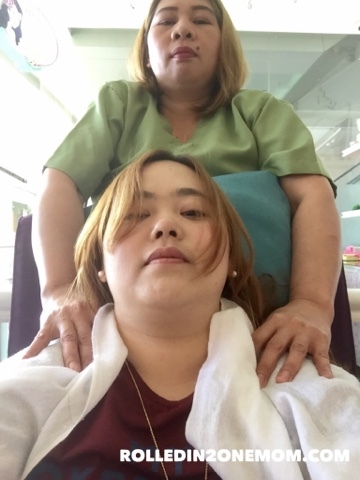 My session capped off with a back massage that is a homerun! The perfect end as they say. Okay, my travel from Makati to Quezon City was worth it. I know, it's not that far but with traffic and all these days, it felt like a provincial trip! 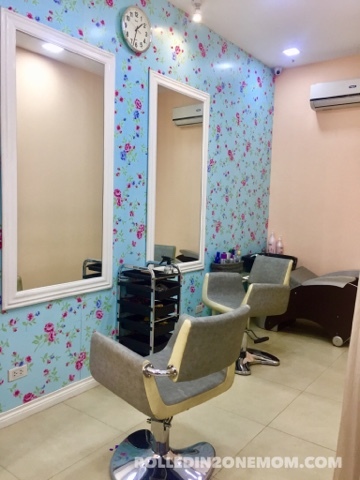 Over-all, from the ambience, service and staff, Make Me Blush Nail Spa & Beauty Lounge is now one of my favorites and I am definitely going to come back for more. 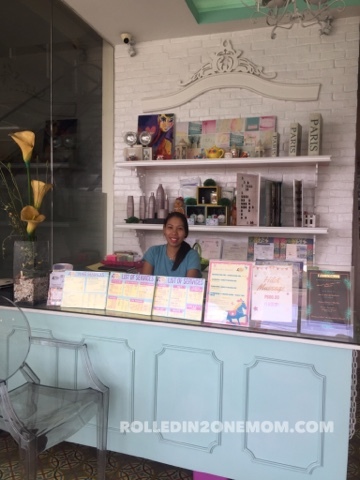 Make Me Blush Nail Spa & Beauty Lounge is located at the Hemady Square, E. Rodriguez, Quezon City. They offer all kinds of luxurious services that will surely give you the relaxation and royal treatment you seek. One of my favorites on their roster of services is that the Sparty Packages for kids and adults. The party ranges from 5k up depending on the package you prefer. 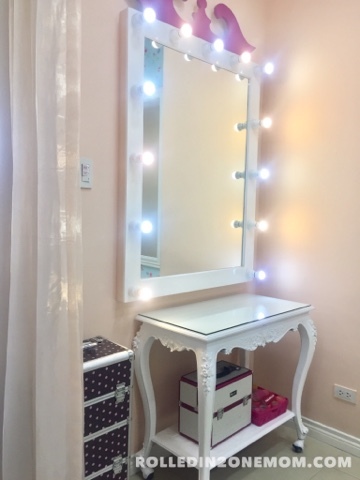 For more information, visit their page Make Me Blush Nail Spa & Beauty Lounge. I give Make Me Blush ⭐️⭐️⭐️⭐️⭐️.